To find the right picture to illustrate this entry was the most difficult task I had to deal with in the past three months. Can you believe it? It took me two hours to come up with this portrait. I’ve tried all possible searches: face, face close-up, serious face, blank face, man portrait and so on… The keyword that led me to this image is “expressionless”, which is also the right word to define a “blank face”. The picture was as difficult to find, as it is to understand the real message of a blank face. There are many studies discussing this issue. I am just going to underline some general aspects. 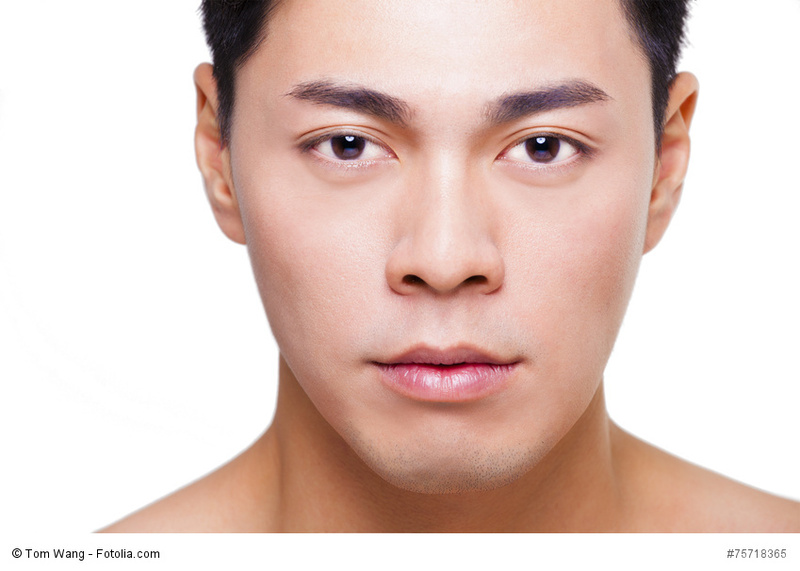 This facial “non-expression” is used by most of us to keep strangers at a distance. For example, in a crowded elevator, the blank face is probably the only tool we have to maintain our “private space” unperturbed. The message is pretty clear: do not disturb. People of exceptional beauty cannot convey this message by adopting a blank face. We see them as “mysterious” or “lost in their own thoughts”. A deadpan face is rarely perceived as neutral. Although this is a perfectly relaxed pose, if you have a naturally downturned mouth others might perceive you as “angry” or “sad” when, in fact, you are simply… relaxing. Studies show that children do not like to see expressionless faces: they become anxious and frustrated, confused because they are not able to decipher the real feelings of the ones they look at. And this is not solely the case of children. Even adults tend to wonder about the real feelings of the ones that display an emotionless expression. There are people who have expressionless faces because of medical conditions (schizophrenia or other forms of brain damage and motor problems), but I am not going to cover such special cases here, as I have no training in psychoanalysis. To make a long story short: it is difficult to “read” a blank face out of a context. I suggest an exercise though: next time you go out, look around you and count how many people with expressionless faces you see in the subway, in an elevator or in any other public place where they might feel uncomfortable. Then try the same exercise at work, in a business meeting with all your employees or colleagues. You’ll notice that while in public places a blank face is just a “keep your distance” mask, the “meeting” blank face cannot be deciphered so easily. There are other factors you should consider and other body signals before concluding that your co-worker tries to send out a “do not disturb” message. It seems our subconscious can pick up on so many little clues to give us information about another… and of course our eyes are certainly a window into the soul! Very nice post Mig… you’ve got me thinking and pondering! Well, Jen… you have a special gift and I don’t think this has a lot to do with “body language” reading. You are a “soul reader”. No wonder you write about the windows of the soul. I wonder what do you have to say about the man in this picture. How would you describe his expression? Is it a “do not disturb” or rather a… “mysterious” pose? Is he maybe an “I am self sufficient” type of guy or is he simply thinking about… nothing? What do you think? Seemingly ordinary topic…. but I’m impressed with how you’re getting in depth on the analysis! Cool! Lol… That’s right. But that’s a “studied” pose. It’s now June 2008. I’m wondering and worrying about the expressionless faces of my granddaughers aged 13 and 15. Is this the new “cool” pose? There could be many reasons for this type of behavior, Mariah, including the “cool” pose you mention. Another thing to consider: is there anything in their family life or circle of friends that might induce this? Blank faces are also “masks” we display when we don’t want to show our worries, fears and feelings. A psychologist can tell you more. But all in one, you have all the reasons to be worried. Signs like this should never be ignored. I sincerely hope it’s just a “cool” pose, but it usually doesn’t happen at both children of different ages at once. Did you notice when they started to act like this? Have you confronted them with your worries?